My birthday is always a hard one to plan around. Most of my friends are gone on Christmas Eve to be with their families for the holidays. This year I wanted to do something special, as it was my 21st birthday. Not being a party person, Vegas was out of the question. I decided I would travel for my birthday, since I treasure travel above all else. I decided I would travel to Haiti to do a cultural exchange and clean water project. I went with a group called Volunteers for Peace*. I left in the wee hours of December 24th and landed in Port-au-Prince on Christmas day. I am glad that I went during the winter, because Port-au-Prince is hot (and only gets hotter in the summer). Despite being hot, my first impression of Haiti was that I would feel right at home. 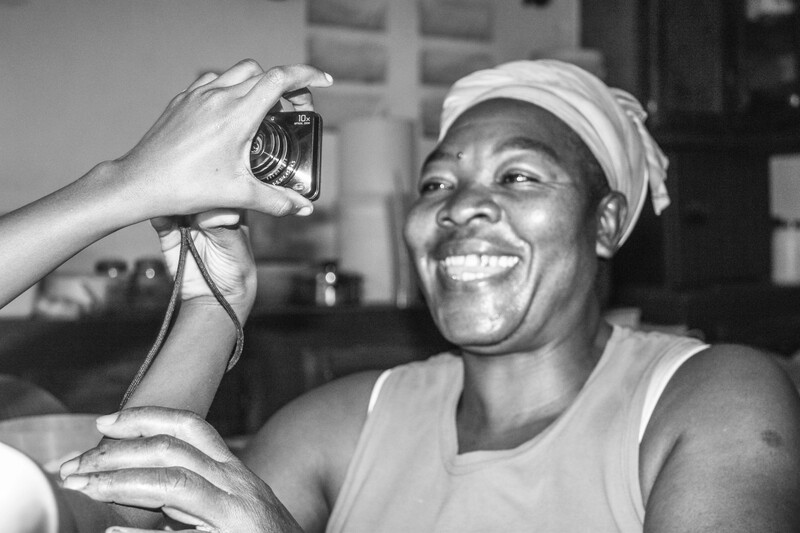 I was welcomed with open arms and taken to a small hotel in Delmas 60. At the hotel, I enjoyed spending time with some of the locals, including the children of the owner. I love spending time with children from other countries. They are always curious and eager to learn and practice their English, and these kids were no exception – I got everything from basic lessons in Creole to lessons on politics in Haiti. That night we had a special goat dish (which was probably one of the tastiest things I have ever eaten). Overall, the food in Haiti is amazingly delicious. By the 27th of December the rest of the volunteers had arrived. It was a great group. One of the things I love about traveling and volunteering with organizations is you get to meet the most interesting and kind-hearted people. Every one of the volunteers had an interesting story and motive for coming and I am so glad I got to share the experience with them. 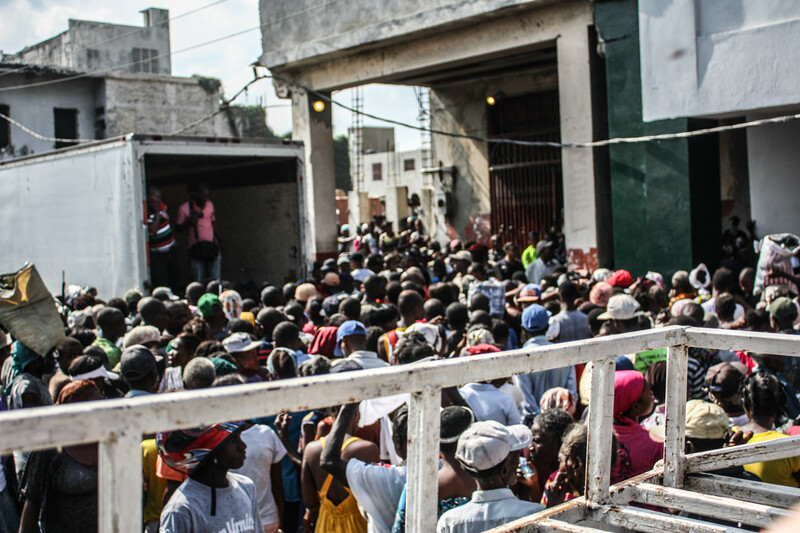 After everyone had arrived, we took a tour of Port-au-Prince, and it was a real eye opener. I have found that it does not matter how many pictures you look at, or how many articles you read, or how many other places you have been, nothing can quite prepare you for the scenes of ultra poverty. It is hard to describe some of the things I witnessed in Haiti, such as the large burn piles, the dirty water, the devastation from the earthquake. I was happy when I headed for LaVallee, a small community in the mountains about 4 hours from the capital. LaVallee was like a little slice of paradise to me. The temperature was a lot cooler and the people were warm, welcoming, and treated you like family. There were always children around, which always warmed my heart. Oh the stories behind those eyes. While in LaVallee, I helped set up for a community raffle, painted and cleaned a hospital, learned how to cook from the elders, spent time with children and elders, learned about Haitian culture and customs, learned about clean water initiatives, ate some amazing food, participated in a Kite Festival, went to the beach in Jacmel, and made some life long friends. It was a privilidge to be able to spend the New Year in Haiti as well. We had a large celebration and it was fun to be in a foreign place, yet still feel at home when celebrating such a milestone. 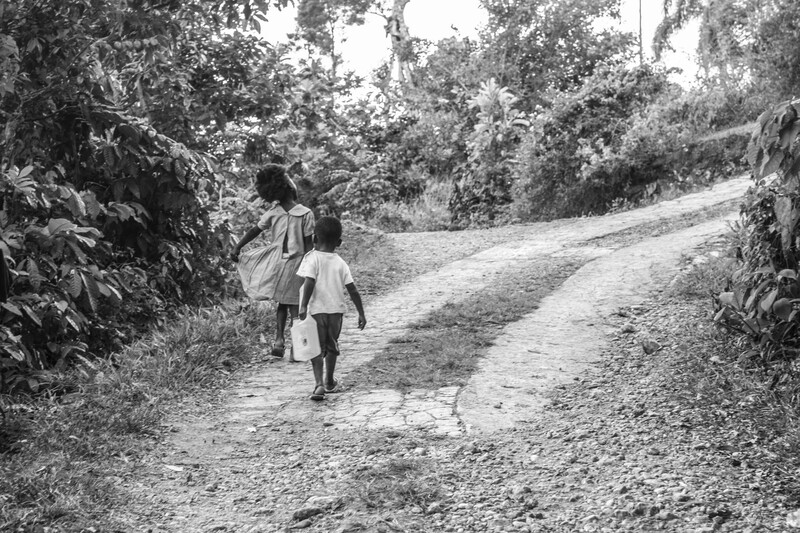 Girl from La Vallée in search of clean water. Being somewhere like Haiti really makes you think about how lucky you really are, and opens your eyes to how much you take for granted. We only ate twice a day (breakfast early in the morning and dinner late at night), which make me realize how lucky I am to have access to food whenever I want. There is also a shortage of clean water – it is a precious resource. It made me very mindful about how we use (and waste) a lot of water in the United States and how lucky we are to have instant access to clean drinking water. I also experienced a touch of culture shock when I went to the market on market day and witnessed the animal slaughter (not sure I will be eating meat anytime soon). I am lucky I live in a place where I can easily go to a store and get meat if I chose and I do not have to kill it, or watch or hear it be killed, myself; I do not have the stomach for that. Despite a tad bit of culture shock, my overall experience in Haiti was absolutely amazing. I loved every second of being in Haiti. The food was great. The people were captivating. The culture was beautiful. I had fun making a difference (even if it was a very small difference), and I cannot wait until the day I am able to return to Haiti – hopefully to work on another clean water project – and to be reunited with the land and people that I feel in love with. 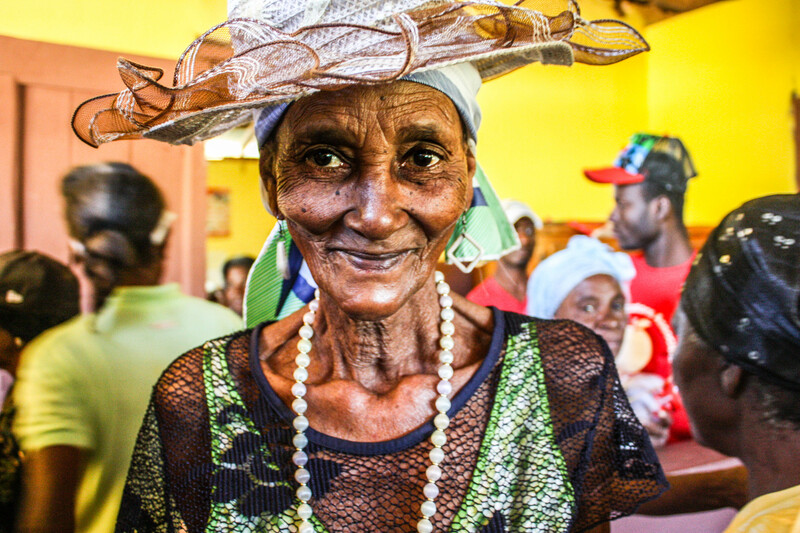 You can see more photos from my trip to Haiti here. *Volunteers for Peace is a great organization, and the price is very reasonable, so check them out if you want to volunteer and travel.